To celebrate Valentines Day 2019 we got writing! We wrote a little poem and made a Valentines teddy bear. Have a look at the pictures below of our creations. taking the tricky out of tricky words! 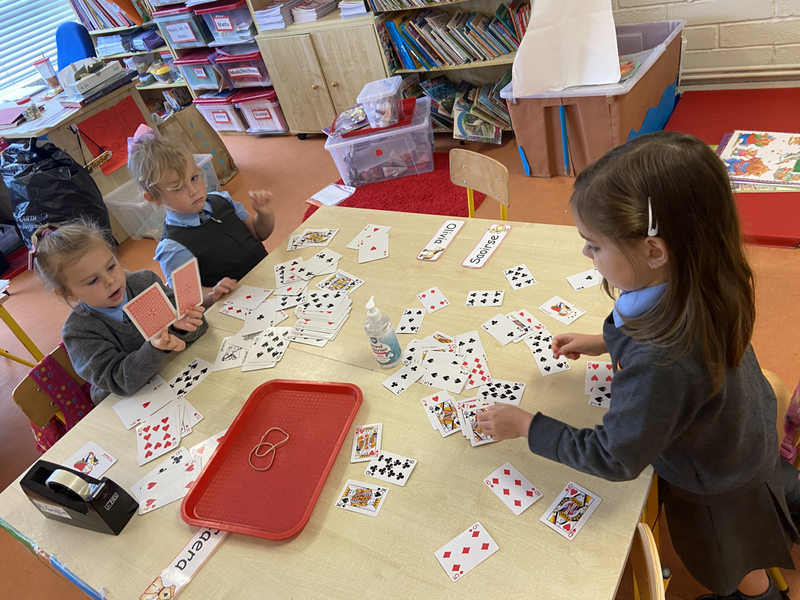 In Senior Infants we have been constantly working on our tricky words, in school and at him for homework. It’s safe to say soon we’ll be able to call them not so tricky tricky words. Here are some pictures of us playing some tricky word games! In our class we have lots of different talents and skills! We will show you some of things we do outside school here. First we have Sameer’s incredible constructions. He loves all things farming so decided to make a little farm of his own complete with ​animals and a tractor! 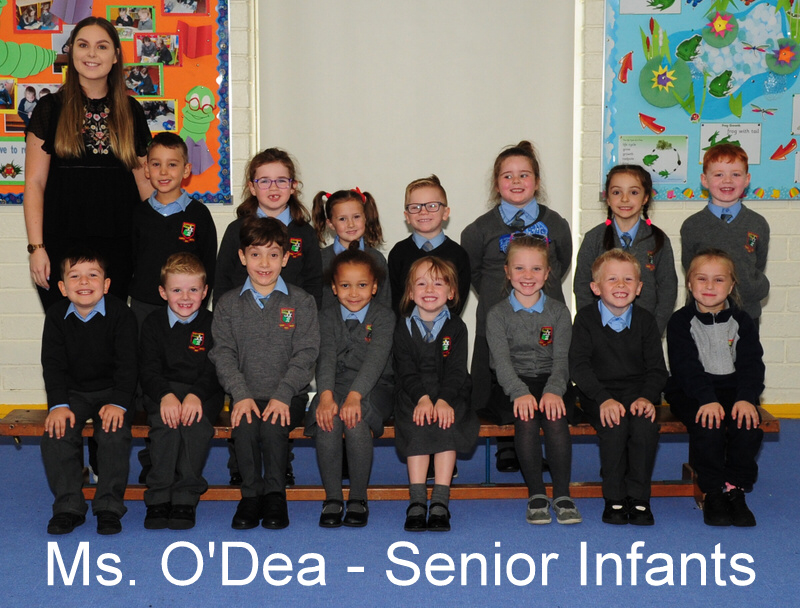 On Friday the 1st of February we celebrated Grandpdents day! We took the opportunity to say a big Thank You to Grandparents for all the amazing things they do for us, some with us and some carefully watching over us. ​We had an assembly in the hall which was jam packed full of Grandparents! 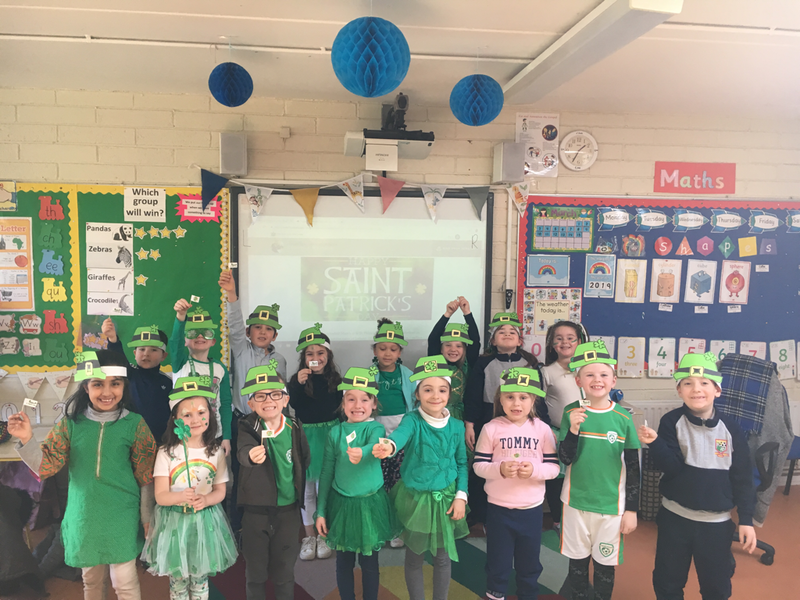 We all sang together and then Ms O’Shea’s second class put on a super performance of some poems they wrote! We even let our Grandparents come have a sneak peak at our classroom. ​Have a look below at the pictures and videos. We have been really trying to make sure we line up carefully and quietly after yard time. 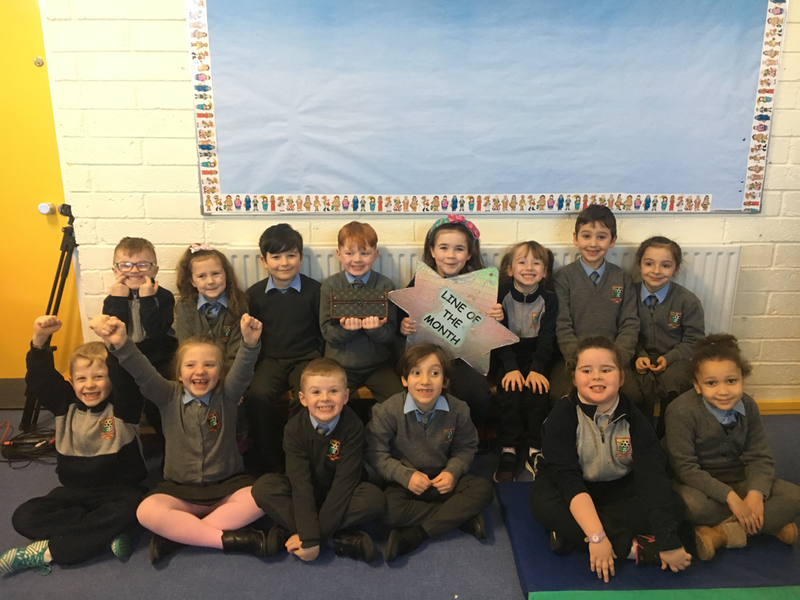 We were so delighted to find out at assembly on Friday that we won best line for the month of January. We got the big star to display in our classroom and a treasure box full of treats for us to enjoy! On the 30th of January we went on a school tour! 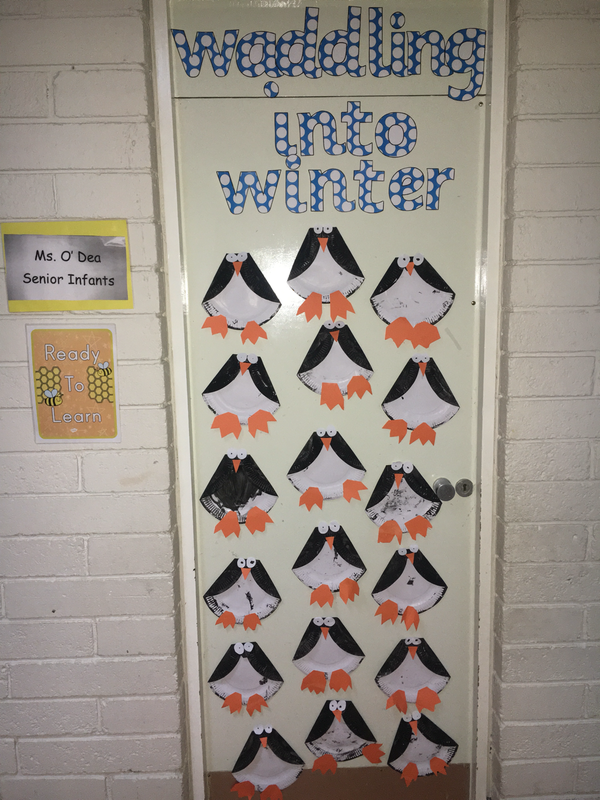 We’ve been working very hard in the classroom so it was only right that we got a little treat. We went to Go Kids Go in Blanchardstown on a big double decker bus. We were able to run and play on everything they had in the play centre. We had so much fun! Have a look at the pictures below, they’ll give you a sneak peak at some of the things we got up to. 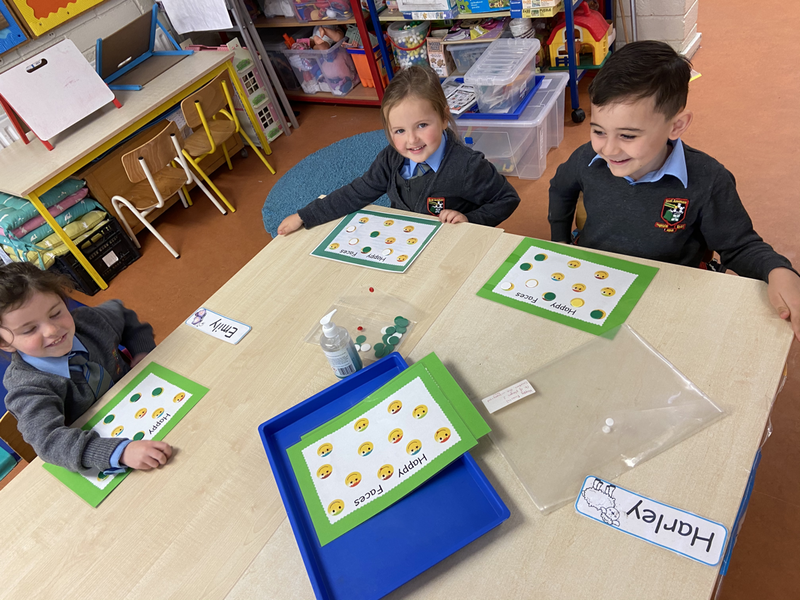 In Senior Infants we are improving our writing every day. The children are getting better and better at writing independently by sounding out their words. Some of the children have even been writing stories!! Here are two of the children reading their storirs, 'The Lost Dog' and ‘The Colourful Leaves’. I have no doubt there will be more stories to come so stay tuned! We've been busy drawing this week! We found some YouTube videos that take you through drawing things step by step. 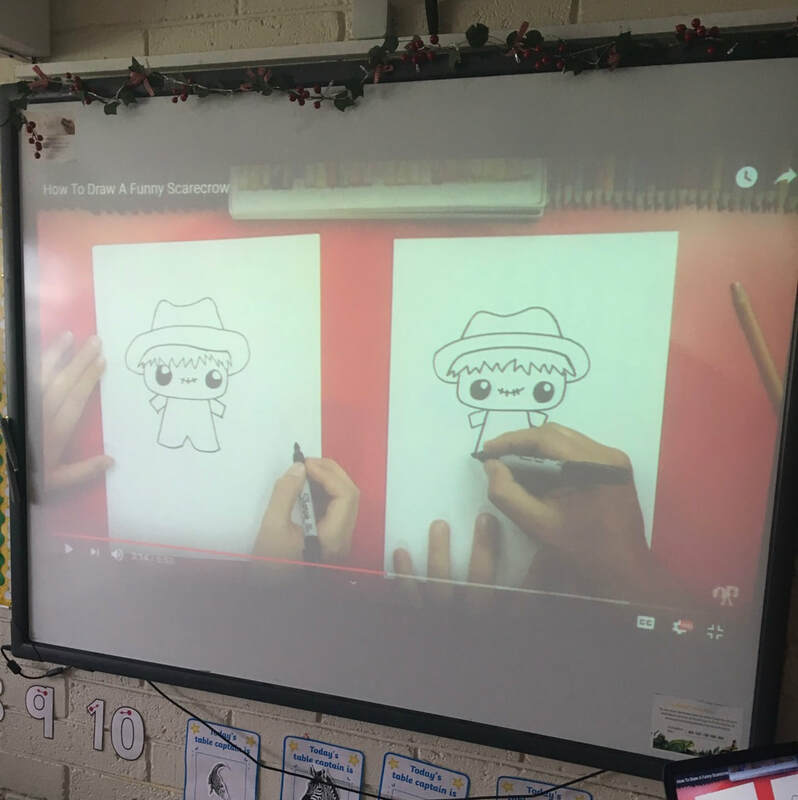 This week we learned how to draw a scarecrow! Lots of the children said at the beginning 'I won't be able to draw that! ', but it wasn't long before they were creating masterpieces. Some of the pictures below show us in the middle of our creations! Adding with a hop and a jump! This month we've been practicing adding numbers using a number line. It's a tricky thing to do so we decided to make a number line in the classroom to practice. At the beginning of the month we were adding two numbers but we got so good at that we decided to try sums that add three numbers together! We know the first number in the sum is the one we start on, the second number is how many jumps we take and the third number is how many more jumps we take. Then all that is left to do is find the answer, which we know is always the last number we jump on. Have a look at the videos below to see for yourself! Our nativity this year was called Hey Ewe and it was a huge success. The children put in a huge amount of effort into practicing both the songs and their lines and it paid off. Everyone enjoyed their performances and we had some treats and sweets to celebrate! Here are some pictures of us in action. 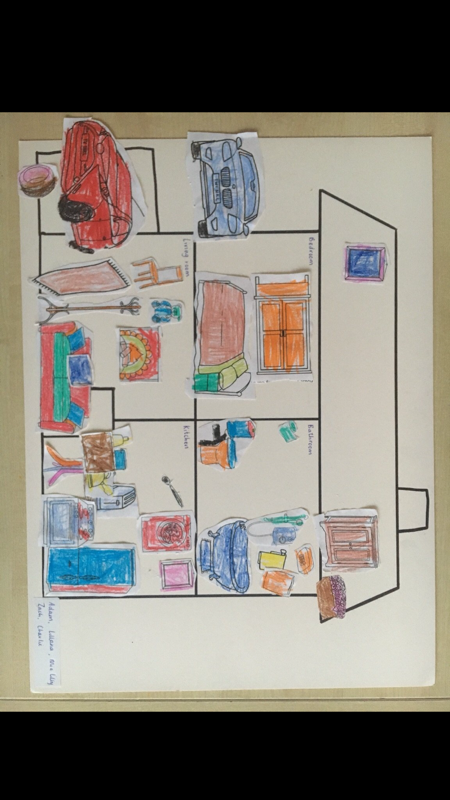 We were recently learning about different types of houses and homes in Aistear. 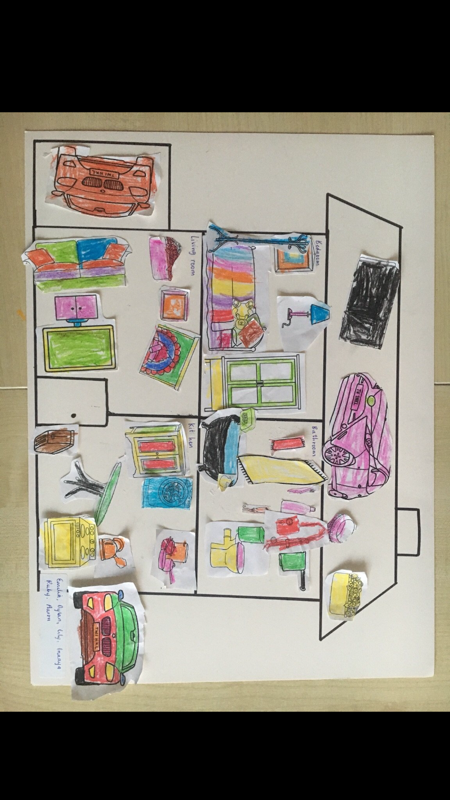 We got into groups and together we created our own homes. 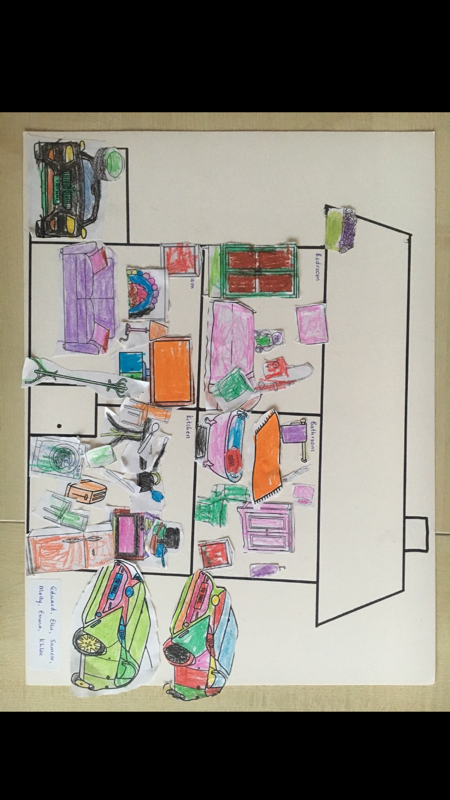 Everyone pitched in to cut, colour and design each house. Take a look at our lavish new homes! 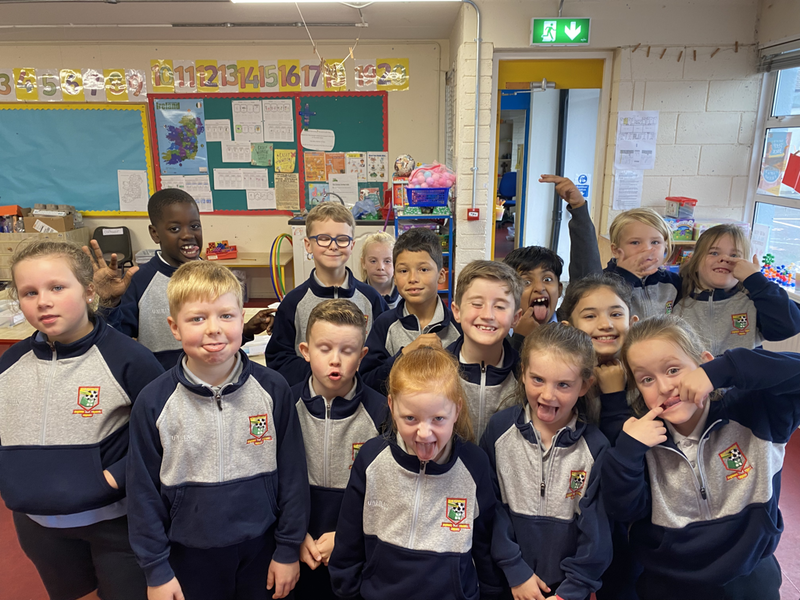 In Senior Infants we love Aistear. During Aistear we get to explore and create lots of different things but one thing we really love is construction. We are super at planning and building anything from schools to space stations! Have a look below at our designs so far. 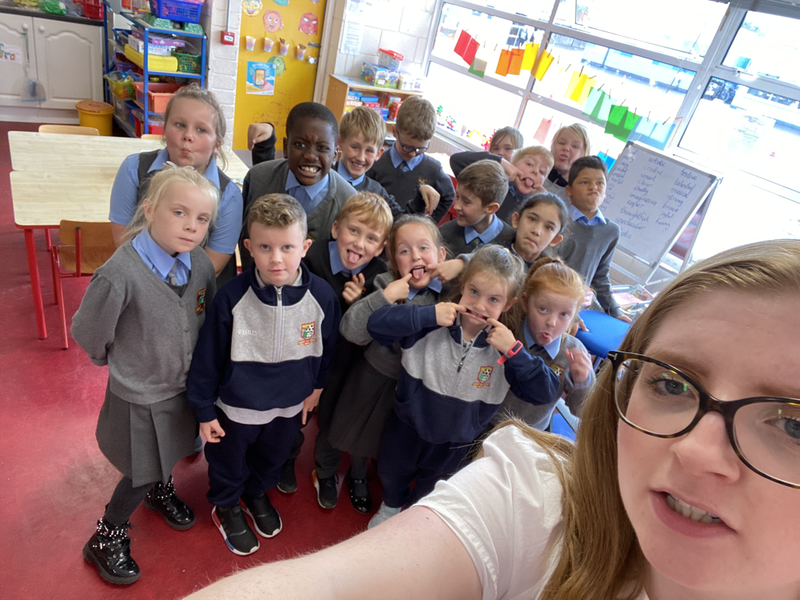 We were exploring Space in Aistear. We created astronauts, rockets and space ships. Some of the children were busy making rockets at home. Here are some pictures of us enjoying a chance to play with them.